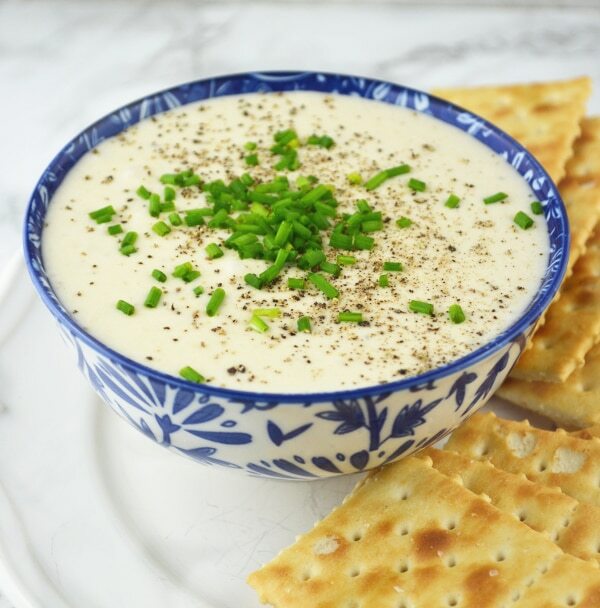 This Taleggio White Bean Dip is highly addictive! Packed full of delicious Taleggio cheese, garlic and chives it’ll be a big hit at any party. Happy Friday! It’s been one long week to say the least and my posts have been a little off schedule too...sorry about that! As promised I will be posting FOUR recipes this week so it’s going to be a mouthwatering weekend and I’m so excited! First up is this Taleggio White Bean Dip. Who doesn’t LOVE a good ole’ dip? I certainly do, so much so that I find it kinda hard to control myself at times and let me tell you this Tallegio White Bean Dip is no exception. It’s gorgeous! This dip is perfect along side an antipasti spread. I often serve it with prosciutto, speck, salamis, a few different cheeses, crusty bread and crackers. Try spreading some dip on a slice of crusty bread topped with a slice of smokey speck and fontina cheese. It’s also fantastic on it’s own with salty crackers to dunk into it, SO MUCH YUM! 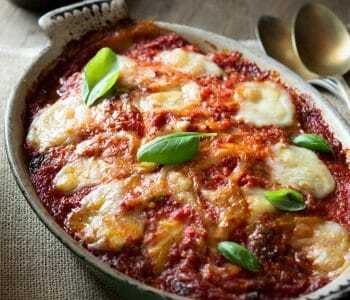 You won’t believe how easy this is to make and either will your guests after they taste it. All I do is warm up the cannellini beans in a small frying pan with a very small amount of olive oil. As the beans are warming up I slightly mash them with a fork. After a couple of minutes I add the warm, mashed beans to a food processor with some Taleggio cheese, garlic, cream and some salt and pepper. It’s all blitzed together until it’s silky smooth and that’s it! Transfer the mixture into a serving bowl along side some crackers or antipasti and serve 🙂 It’s so perfect and takes literally 5 minutes to make…it couldn’t be any easier. 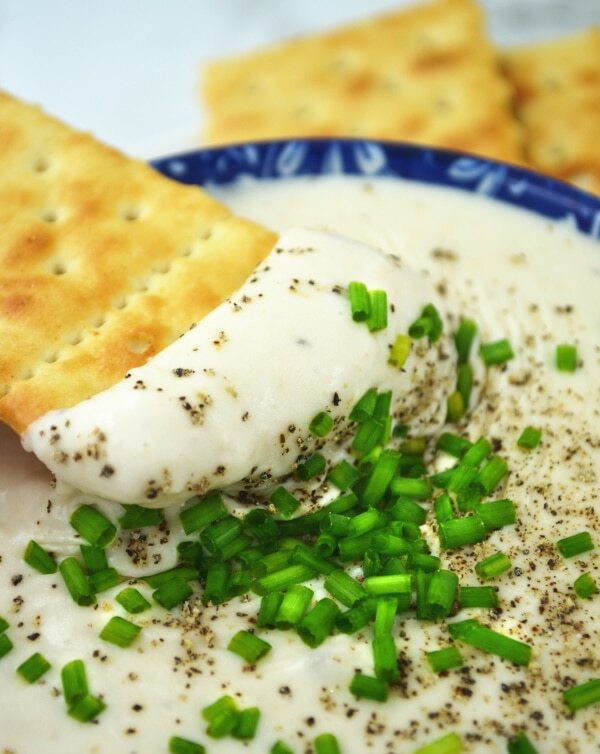 This Taleggio White Bean Dip is highly addictive! Packed full of delicious Taleggio cheese, garlic and chives it'll be a big hit at any party. Add the olive oil to a small frying pan under a low-medium heat. Add the cannellini beans and warm up (around 1 minute). As the beans are warming roughly mash them with a fork. Add the beans, taleggio, garlic, cream, salt and pepper to a food processor and blitz on a high speed until silky smooth. Transfer to a serving bowl and sprinkle with the chives and an extra sprinkle of pepper. Serve with crackers or as part of an antipasti spread. Oh taleggio is one of my favourites! Never thought to make it into a dip! Definitely making this..and probably eating it all! Yum! Haha thank you, taleggio is one of my favourites too! 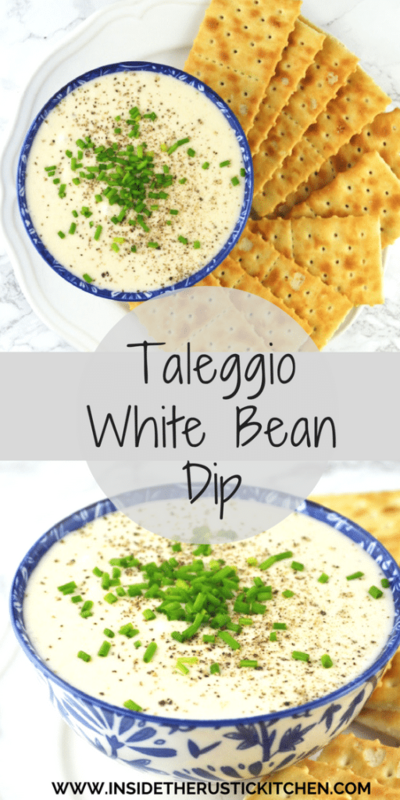 Love the idea of taleggio in a white bean dip. What a great way to add flavor. This looks so indulgent! Pour a glass of wine and pass the platter! This dip sounds so delicious!! I love cheese and this would be perfect for the upcoming holidays now. I love cheese too, thank you! Ooh,, love the use of Tagleggio. This dip sounds so flavorful. 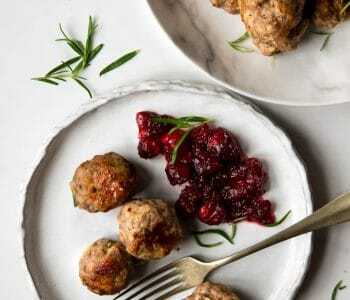 Great appetizer for the holiday season. Thanks Tara Taleggio is so yummy! This dip sounds delicious! 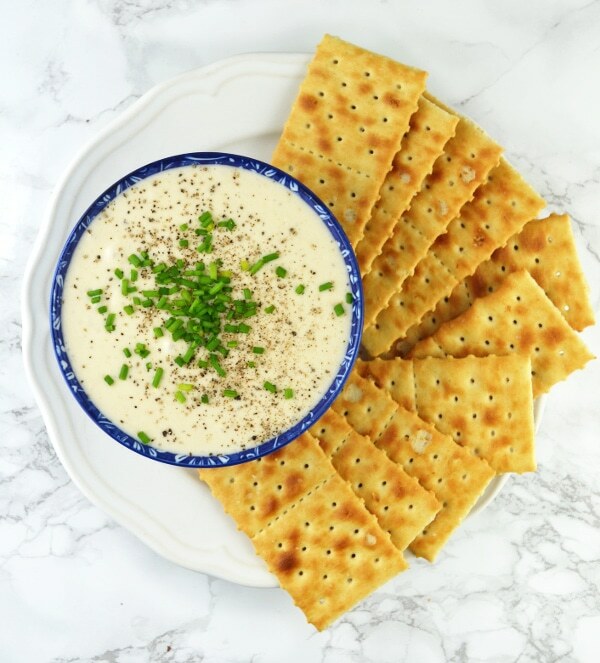 I love cheesy appetizers like this, perfect for a holiday party! Thank you for the recipe!